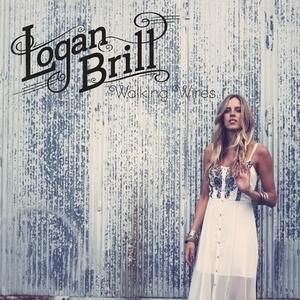 In just a few short months since the release of her debut album ‘Walking Wires’, 23-year-old Logan Brill has already proven herself to be one of the most important new artists coming up in Nashville today. With a stunning voice that goes toe to toe with Nashville's finest, the young singer-songwriter opts for grit and authenticity over pristine pop in her song choices, drawing comparisons to Bonnie Raitt, Brandi Carlile, and Mary Chapin Carpenter from national press. It seems that both Americana and country music fans nationwide agree, as Logan has appeared on sold-out bills in markets from Nashville to Chicago to Washington, DC, including opening spots with artists like Steve Earle, Josh Turner, Jerry Douglas, Gary Allan, Leon Russell, Carbon Leaf, Robbie Fulks, Todd Snider, Sara Evans, and David Ramirez. Following the Knoxville native’s move to Nashville, Brill began working with Carnival Music, home to established songwriters like Gretchen Peters, David Nail, Scooter Carusoe, Troy Jones and many others. Carnival is owned and operated by producer Frank Liddell (Miranda Lambert, Lee Ann Womack, Chris Knight) and is responsible for generating thirteen number one songs in the past decade. As a label, Carnival Recording Company is also known for launching the career of Eli Young Band.